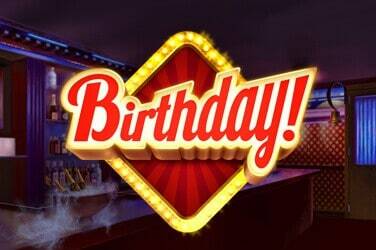 Is Minecraft responsible for the zeitgeist in gem-themed online slots? Or is it simply the glittering allure of the gems themselves and the thought of finding lost treasure that we all find so appealing? 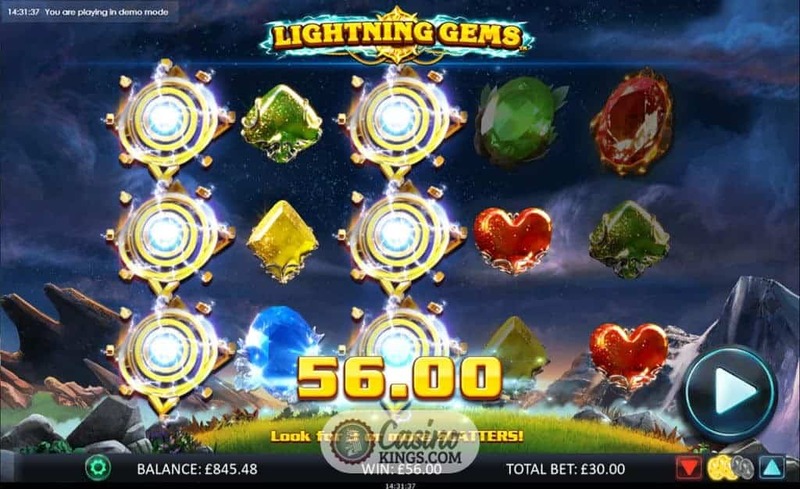 Whatever the truth, in Lightning Gems Slot NextGen delivers a sparkling jewel of a slot. That features five reels, 10 pay lines that Pay Both Ways and multiple Wild bonus features that can ensure we leave this slot electrified (though not literally). 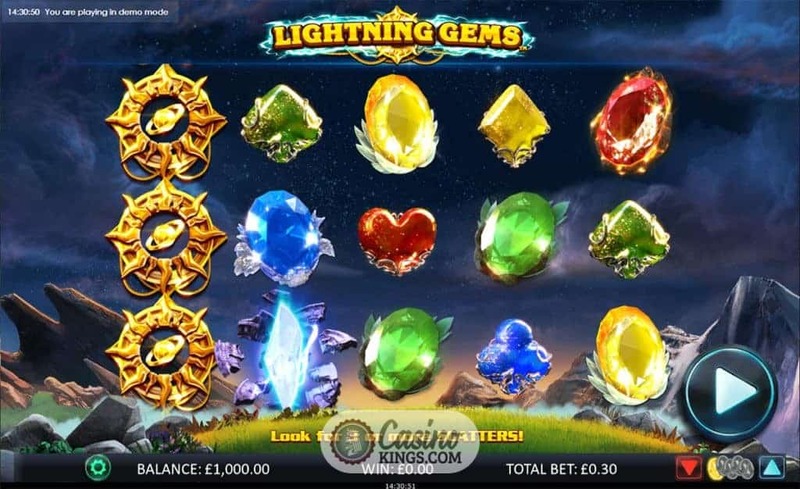 Lightning Gems Slot launches amid a twinkling fanfare that exudes a magical theme, think in the vein of the Harry Potter soundtrack and you’re along the right lines. The backdrop is an ominous sky atop a mountain, the clouds just breaking to allow us a glimpse of a starry sky. 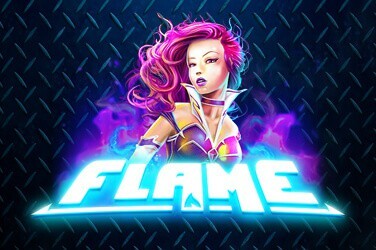 It’s resonant on so many levels, and not least in letting us know exactly where we can expect the lightning in the game’s title to come from. In fact, if we land one or more of the game’s Lightning Bolt Scatters we are treated to a promising flash of lightning and clash of thunder. Powerful. Meanwhile, the gems in question are Rubies, Emeralds, Sapphires and…Yellow Sapphires? Or Citrine. Either way, they glisten and gleam and do just fine as our high paying symbols. The gem theme is replicated in our low-payers with the same colours, though these are neatly styled as Hearts through Spades. A Golden Sun Wild performs the requisite substitution duties – fitting since we would be praying for the sun if the sky was looking and sounding as ominous as this. While the Sun Wild substitutes as normal, it can also break onto the reels in beams of glistening glory. 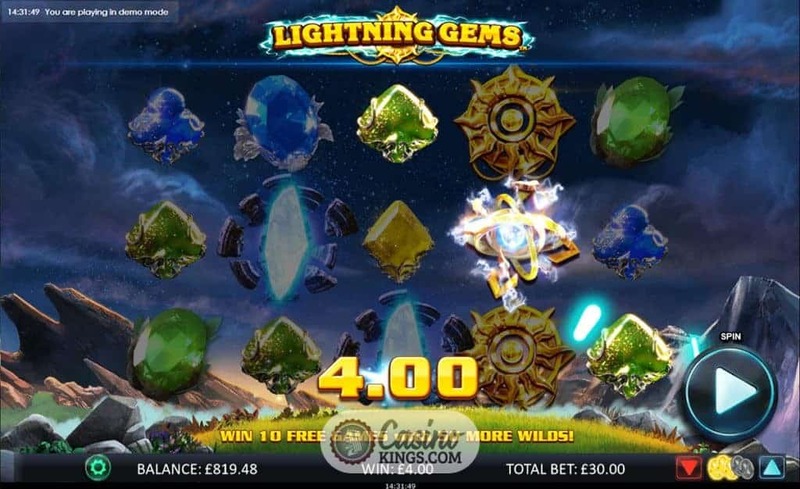 The Lightning Gems Wild Nudge feature will see Wilds that have just missed the reels nudged back to create wins where there were none. Meanwhile, the game’s Wild Wins feature will see additional Wilds hurled onto the reels like Helios himself has beckoned the sun to create wins for our good service. 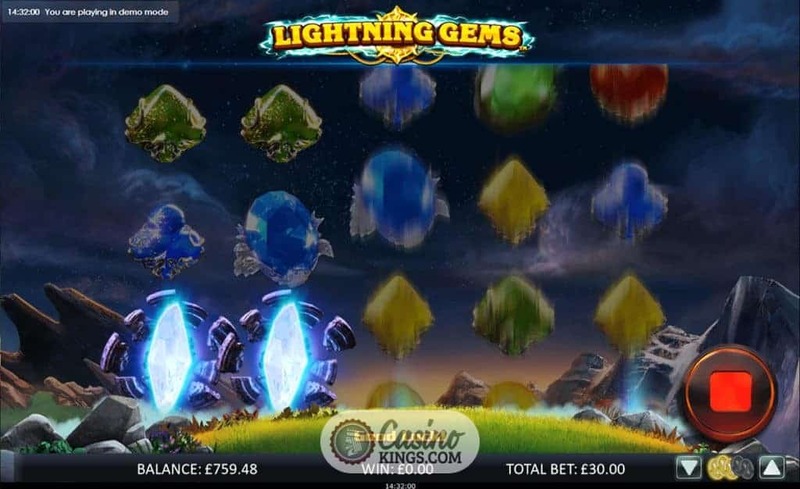 And landing three of those Lightning Bolt Scatters brings Zeus into play (figuratively speaking, of course) with the Lightning Gems Free Spins feature. 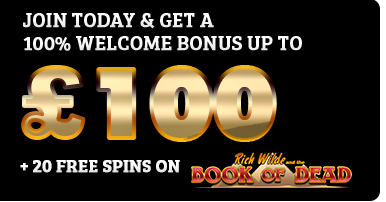 We are granted 10 free spins, during which 10 Wilds are added to each reel. 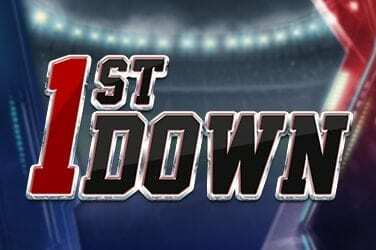 Over the course of the feature, 50 Wilds will be added in total, doing justice to the theme and resulting in wins as epic as the storm is promising. 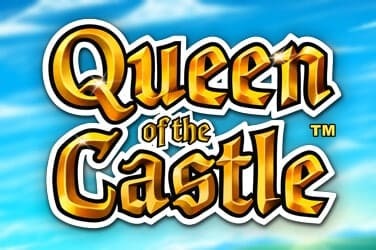 NextGen has brought the full power of the wilderness to bear on this online slot, along with the full nouse of its slots development team. 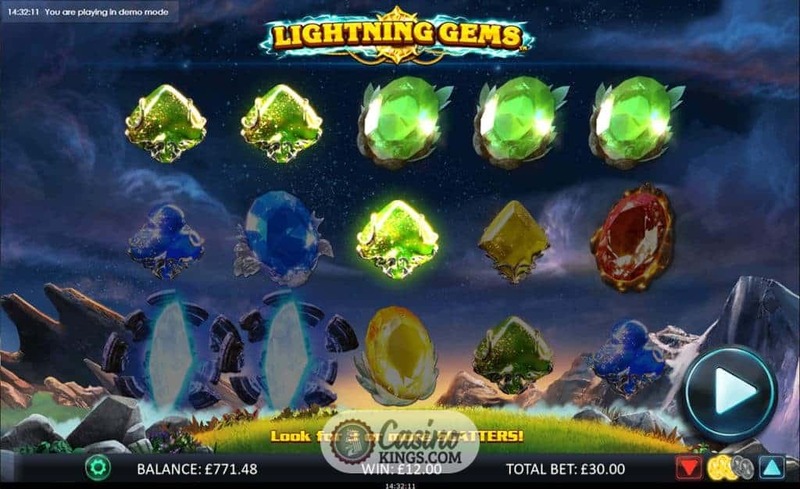 The result is a glistening, promising tale that, should we land the Lightning Gems Free Spins, can forge its own slots legends that we will tell of in years to come. Fortunately, the two regularly occurring random Wild bonus features and the Pays Both Ways system mean there is plenty during the base game to keep our attention energised.